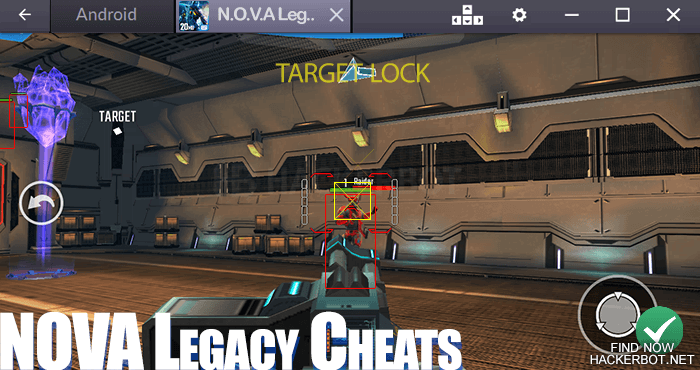 Is it possible to cheat in NOVA Legacy on iOS/Android? Cheating is easily possible using either modded game files, cheating apps, such as aimbots or wallhacks, memory editors and other tools. Possible cheating methods are NOVA Legacy aimbots, gem (trilithium) and money (coins) farming bots for auto playing missions, wallhacks for seeing other players and AI through walls, speehacks, auto-aiming, unlimited ammo and more. However, there is no way to hack your trilitium and coins directly, since this is an online game and all the important account and player values are stored on the servers owned by Gameloft and cannot be accessed of changed using any tools or N.O.V.A. Legacy generators. There are multiple ways of hacking the game to achieve an advantage: memory editing the app, botting the app, using modded game files, injecting code into the game, packet editing and using more accurate controllers. 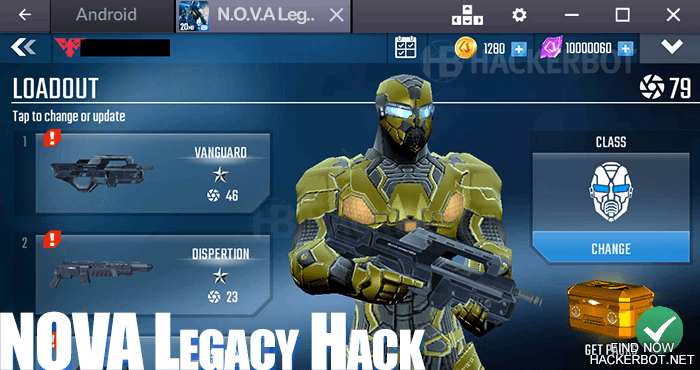 – The most popular method of doing things is to simply download modded game files (hacked APKs / IPA files) that are essentially app installation files that are identical to the original, but include NOVA Legacy Hacks, such as speedhacks, auto aim, auto shooting (triggerbot), auto pack collction, teleport hacks and so on. Another way of hacking the game app on both iOS and Adroid is to use memory editing either on your mobile device or on an emulator that is running the game on your PC. The best software downloads for this purpose that we recommend are GameGuardian for Android and Cheat Engine for Emulators. Emulators can also be used to play the game with diverse controllers and mouse + keyboard for better accuracy. Using code injection, modded files or even packet editing is is possible to achieve increased aim-assist or even auto aim and aimbot functionality that will allow you to farm coins and trilithium (gems) a lot faster, unlock all the 3 star weapons more quickly and get more free combat packs, elite packs and scount packs for multiplayer. Using the same technique that scans the map for other players, it is also possible to display any player through walls (called a wallhack) and make it incredibly easy for you to not only find them, but also flank and kill them for some easy score and coins. Using any kind of auto aim, you skill bonus will be through the roof every single match/mission in PvP and PvE. 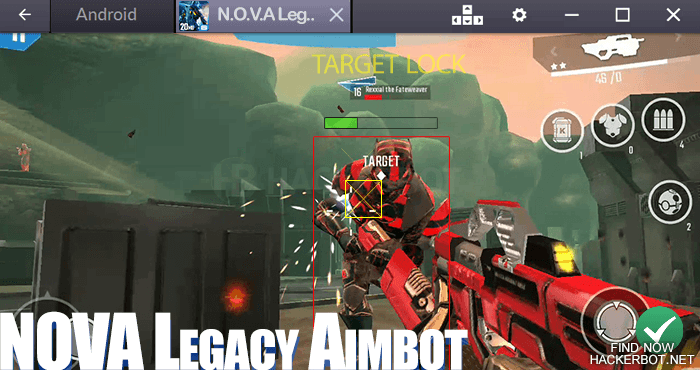 Detection does not seem to be a problem yet with mobile multiplayer shooters, since the amount of cheaters is not high enough yet and the game does not yet have any detection software to flag users of NOVA Legacy aimbots or ESPs. Bots or macros run on a PC or on your mobile device (if always connected to the internet) can be used to auto farm missions, auto redeem boxes you get for free, so that you never miss one and get the most free gear, money and gems possible every day. Macros can be set up pretty easily using an emulator, macro editor + recorder and take about 15 mins to set up. Are Unlimited Coin and Infinite Trilithium Generators for real? No. Both Coins and Gems are processed on the Gameloft (developers) servers and cannot be hacked. The game servers are secured computers behind multiple firewalls that cannot be accessed by anyone other than the game admins and developers. So if you want currency hacks or God Modes for unlimited health and ammo ect, then make friends with a developer or forget about it. Anyone that offers you the impossible is usually not to be trusted - especially on the internet.